Miguel blogged yesterday about my committing a piece of code enabling sharing of methods of generic classes. His post gives the impression as if this was already fully implemented now, but it is actually just the basis for what’s to come. What will be shared here are the constructor (not the static constructor, though), newGenInt, hash and ident. The static constructor and getArr will not be shared because they refer to a static member which is currently translated with the address hard-coded. Since each generic instantiation of Gen has its own static members a shared method will not work. newGen will not be shared because it depends on the type argument T to create the array. Neither will cast because it needs to know T to decide whether the cast is valid. Right now generics sharing is still disabled by default, but can be turned on with -O=gshared. If you’re using Mono SVN and are working with generics code, then it’d be nice if you could try it out and report any problems you encounter. Take a look at this photo (not the one above). It’s a picture of a child prostitute in Congo and it won 3rd place in the category “Contemporary Issues” at the World Press Photo Award 2007. 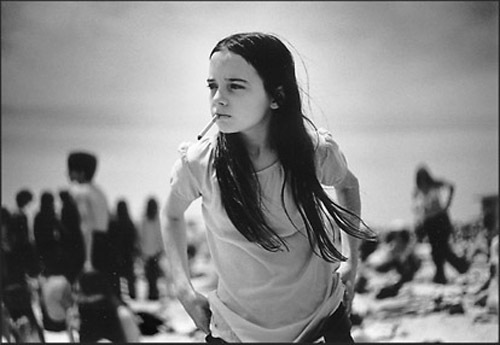 On Flickr it would have been deleted because the child is smoking a cigarette. Among the responses of Flickr staff in this thread was this gem from Heather: “[…] we as a team can decide if this is something that we want to see on the site […]”. So, basically, the Flickr deal is this: You pay them to host your photos and if they’re something they want to see they won’t delete them. Of course they won’t tell you what they want or don’t want to see. The good news is that no photos of flowers or sunsets have been deleted. Yet.